Porcelain enamel appears in a variety of different objects, from bathtubs to toilets and even cooktops. If you have a porcelain cooktop that needs to be cleaned, you may find that ordinary soap and water just don’t get the job done. Fortunately, you likely already possess the common household items necessary to clean up your cooktop and make it look like new. Pour white vinegar in a spray bottle, and spritz it around the porcelain enamel cooktop. Allow the vinegar to sit for a moment to loosen up grease and food splatters that may be stuck to the cooktop. 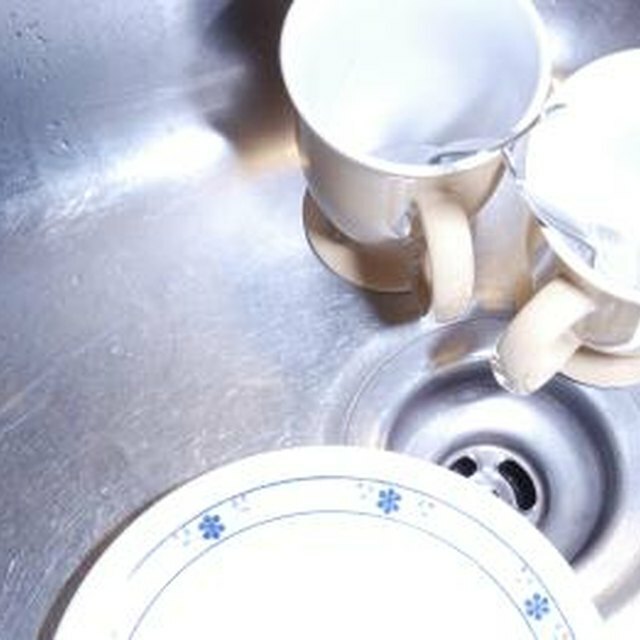 Clear off the vinegar from the porcelain enamel with a damp rag. Dilute oxygen bleach with water. Although the exact measurements may vary depending on the brand of oxygen bleach you are using, a safe mixture is typically 6 oz. oxygen bleach for 1 gallon of warm water. Saturate a rag with the bleach solution, and spread it flat over the porcelain countertop. Let it sit for about 15 minutes. At the end of this time period, dip the rag back into the bleach solution, and cover another section of the porcelain with the saturated, flattened rag. Repeat this process until the entire cooktop has been bleached. Scrub the wet cooktop with a cleaning brush to remove any old stains and to bring forth the original color of the porcelain enamel. Rinse the porcelain enamel cooktop thoroughly with a clean damp rag to remove any excess bleach that may remain on the surface.